Hamilton is a musical about Alexander Hamilton, with music, lyrics and book by Lin-Manuel Miranda. 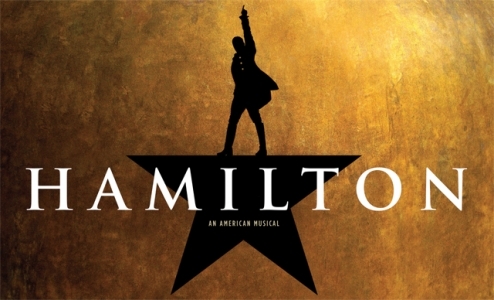 The show was inspired by the 2004 biography Alexander Hamilton, by historian Ron Chernow. The musical made its Off-Broadway debut at The Public Theater in February 2015, where its engagement was sold out. The show transferred to Broadway in August 2015 at the Richard Rodgers Theatre.